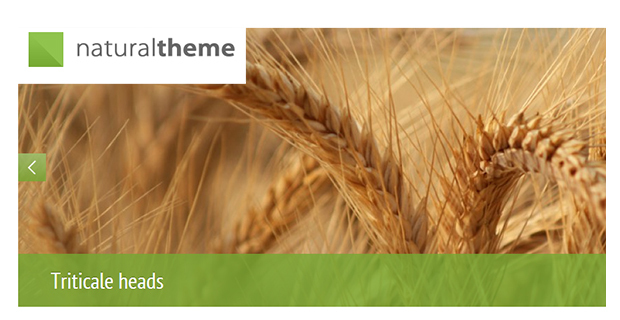 Finding a suitable theme for your agriculture site is not always easy. While there are a multitude of business, photography and technological themes out there for WordPress, there seems to be a slight gap in the market when it comes to agriculture. 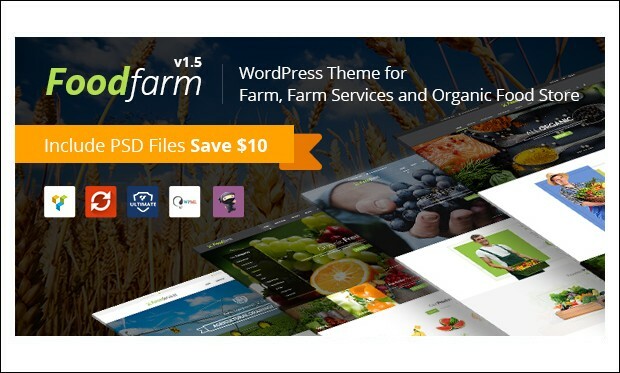 Having said that, we are going to show you 15 specially designed agriculture WordPress themes that you can use for your site to give it a unique look and style. 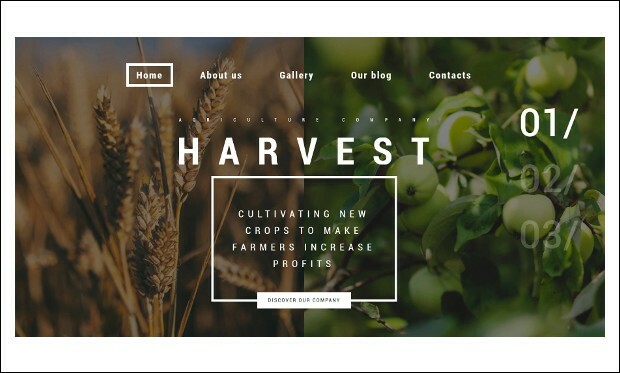 Harvest is the clean and prebuilt agriculture wordpress theme that is specially designed to promote the agriculture business effectively. This theme is designed in such a way that you can share your company story, provide users with important information about new technologies via blog, etc. 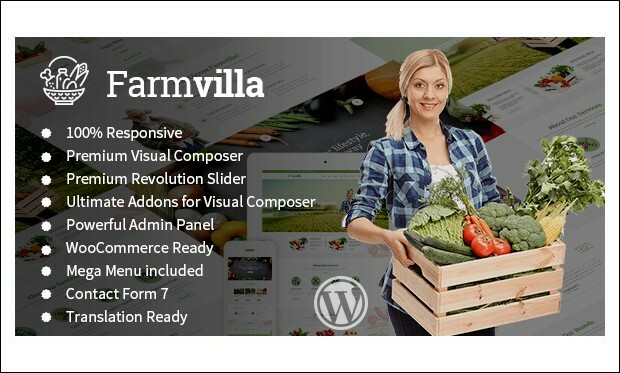 Farmvilla is the cleaver and carefully handcrafted agricultural wordpress theme for the agriculture and organic food website. 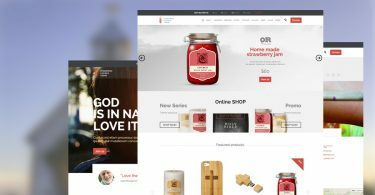 It is compatible with the WooCommerce plugin which allows the developers to easily create the online shop that allows the users to easily sell and buy the agriculutural products online. 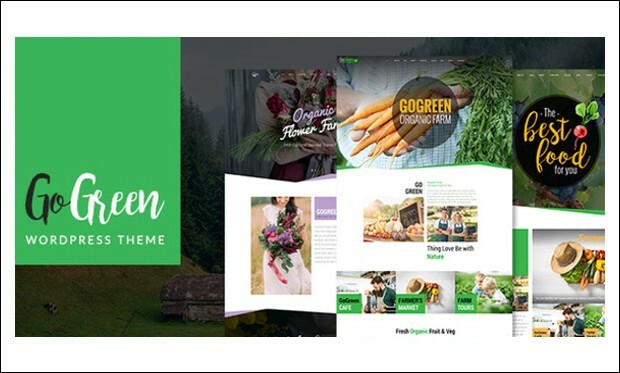 GoGreen is the ultimate and modern responsive wordpress theme specially designed for creating the agricultural products Organic and Superfood ecommerce online stores. There are many advanced and powerful features that help in the easy and faster creation of the beautiful website. 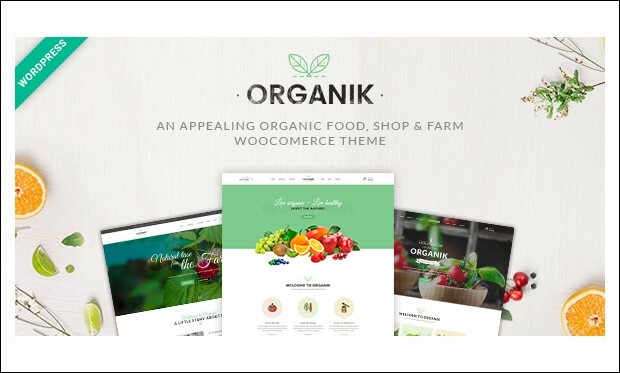 Organik is the latest and modern responsive agriculture wordpress theme that is designed to create the organic store, farm & bakery industry websites. this theme is designed keeping the customers in mind. It mainly focuses on attracting the customers and make the website stand out of the crowd. 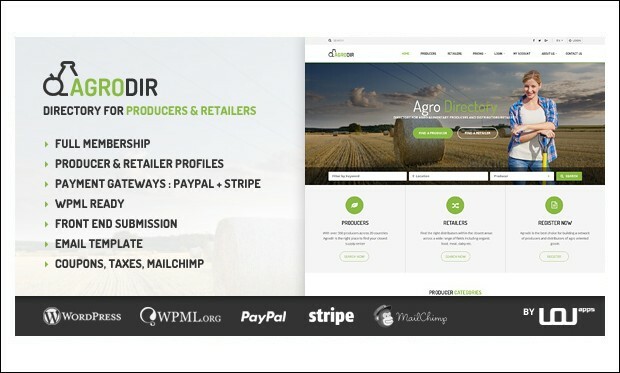 Agrodir is the agricultural directory listing wordpress theme that is a Producer and Retailer listing with wocommerce support. It has many advanced features that allows the users to simply submit the form from front end itself. 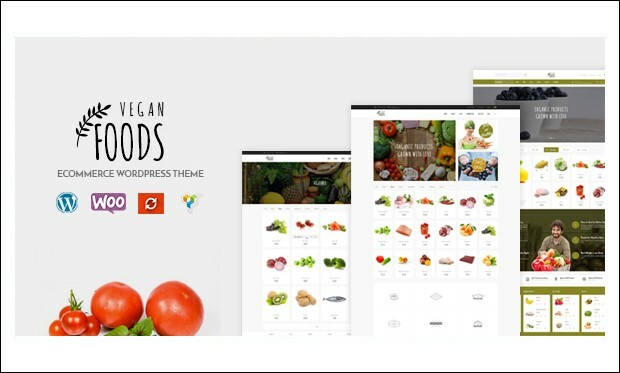 Vegan Food is an ideal agriculture and farm responsive wordpress theme for any kind of food, vegetable Shop, makeup products or similar websites that needs a feature rich and beautiful presence online with elegant and flexible design. FoodFarm is the stylish, modern and clean agriculture wordpress theme specially designed to create a website that showcases the agricultural and farm products effectively. It is compatible with the powerful woocommerce plug-in that allows the easy setup of an online store. 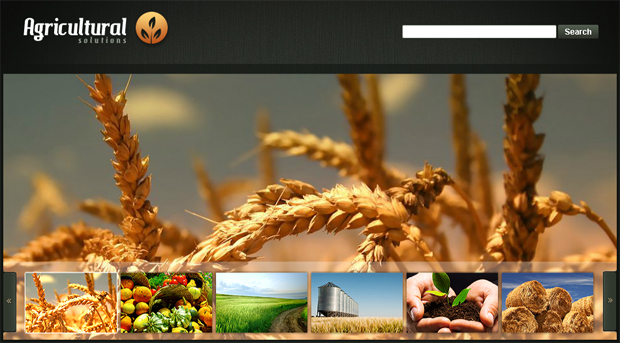 This agriculture designed theme has a main image as its focal point with the menu displayed on the left of the template. 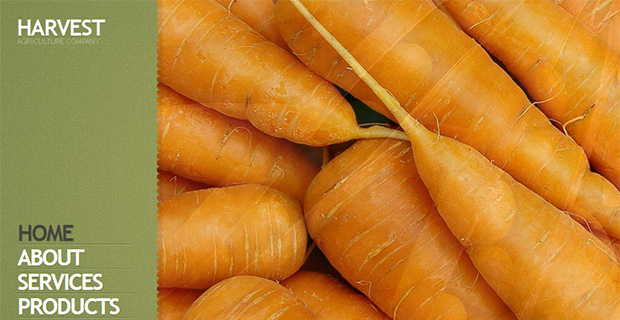 It can feature a slideshow on the front page with a footer at the bottom and its distinct color scheme fits in well with the overall agricultural look. The natural theme from Theme Forest focuses on the beauty of nature as well as having a sleek and professional look which is perfect for business use. 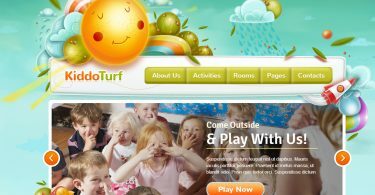 It comes with a responsive design and many customizable layout options such as slideshows, header and footer editing, and over 150 icons to use in 13 different colors. 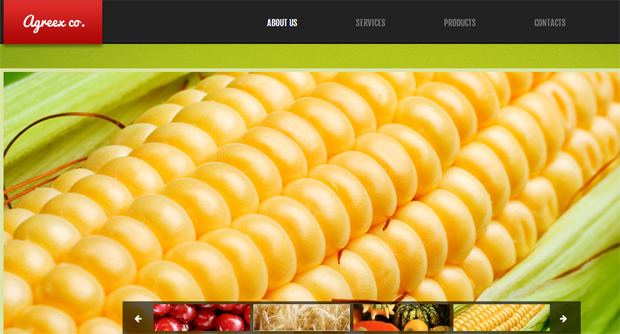 A visually stunning WordPress theme that is able to be used for an agricultural website either personal or business. 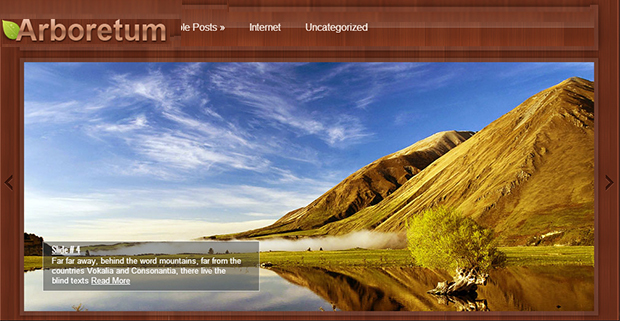 The theme features a portfolio widget, main image as the focal point of the front page and room for social media icons. 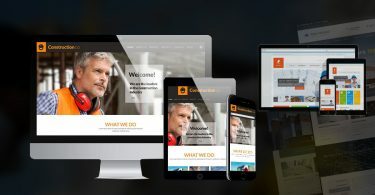 It is also designed to be responsive, so the theme reformats the design for mobile and tablet devices. 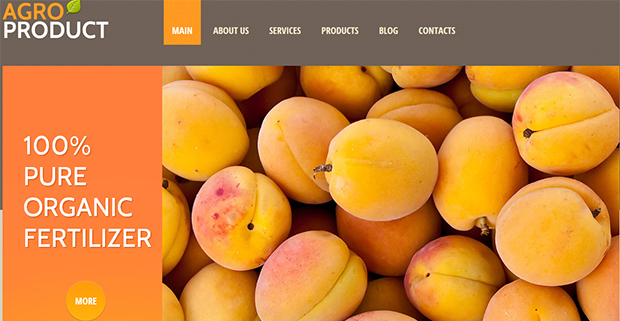 A WordPress theme that has been specially designed for an agriculture website or blog. Beautifully and skillfully created to display a large agricultural image behind the main menu and content area, the Black and Brown Agriculture theme is easy to edit and allows excerpts from four pages to be displayed on the front page. A black but stylish agricultural themed WordPress layout which is a little different in its design. The theme looks like a photography site with the large main image on the front page however it comes with different page templates and has an almost minimalist design that focuses on beauty and content. 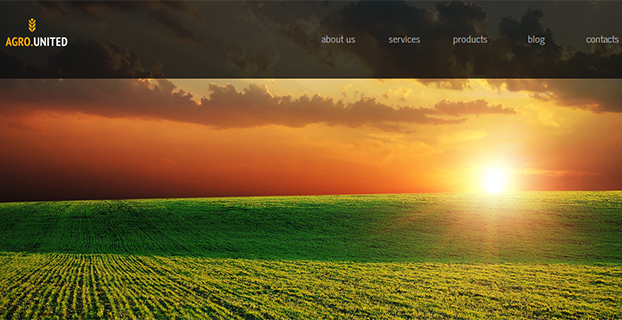 Sleek and well laid out agriculture based design for WordPress. The theme is split in 3 with main image & navigational bar, page excerpts & news, and information & footer. 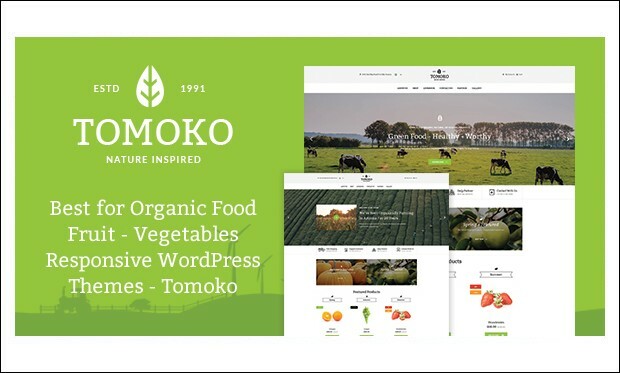 A green design that is suited to an agricultural or nature website, this theme is easy to maintain and is also responsive. 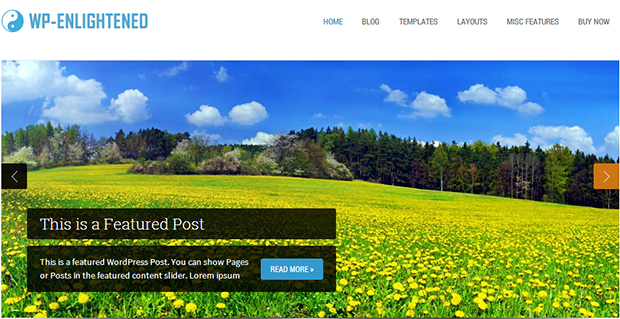 Nature inspired WordPress theme that is well suited to be used for an agricultural site. The interactive main image and navigation on the left is a particular highlight as are the rollover images and sleek look that this theme gives off. It features drop down menus, 5 different page templates and layouts as well. Aesthetically beautiful blog theme. 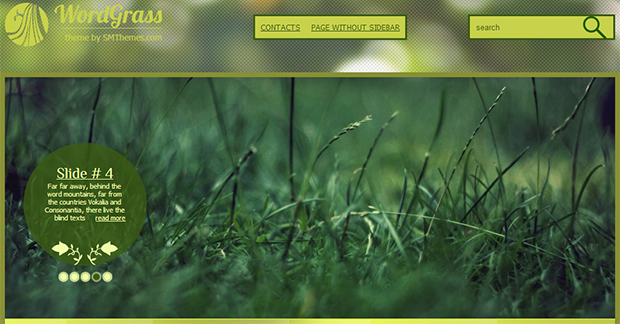 World Grass has a simple layout but its color scheme is perfect for an agricultural based site. It features a large main image, easily accessible navigation bar, sidebars to display recent posts and a search function. It is also ready to be used on mobiles and tablets given its responsive design. 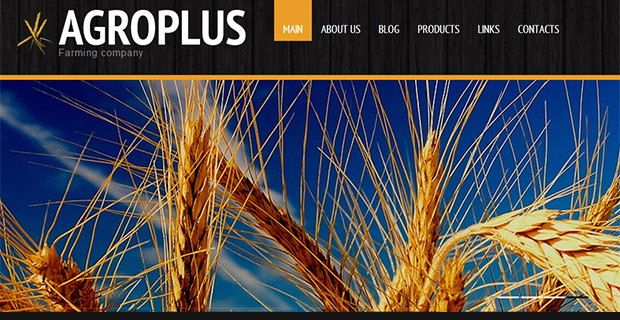 A brown WordPress theme with a design, look and layout that makes it perfect to be used for an agriculture site. Attention is immediately brought to the main image with the navigational bar just above and the professional but rustic way that the theme is designed adds to its suitability. It is a responsive theme that also has a dynamic content loader. 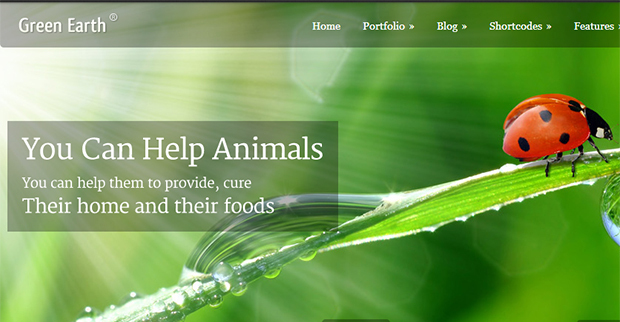 A clean WordPress theme that can be used for agriculture and nature businesses. It has a very sleek look and doesn’t clutter up the page with unnecessary sidebars or widgets. Allows for sliding images as the main feature and comes with uniquely designed social media icons. A very simple and straightforward design. It’s mainly white layout gives it a sleek and modern look, however this is supplemented by the background image that adds color and vibrancy to the theme. 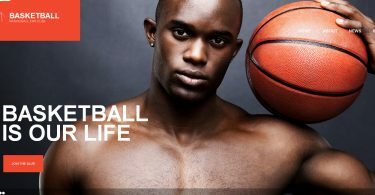 Allows for simple information to be posted in a blog format and also has individual page templates. Social media widgets, such as Flickr, can be embedded in the sidebar. 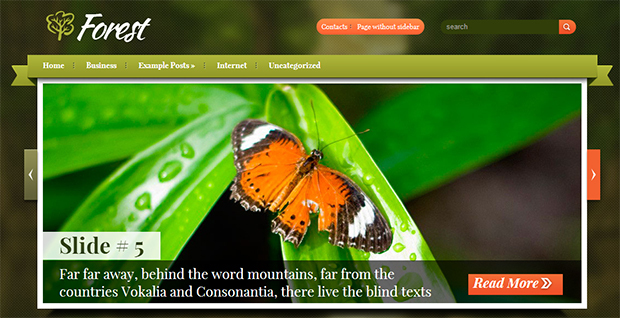 A nature inspired WordPress theme that makes good use of the color green and the slide show feature on the front page. A great theme for a blog or an agriculture business as it allows several different page templates and the addition of social media icons. Its responsive design also lets it be viewed perfectly on tablets and mobiles. A nature themed design for WordPress sites. 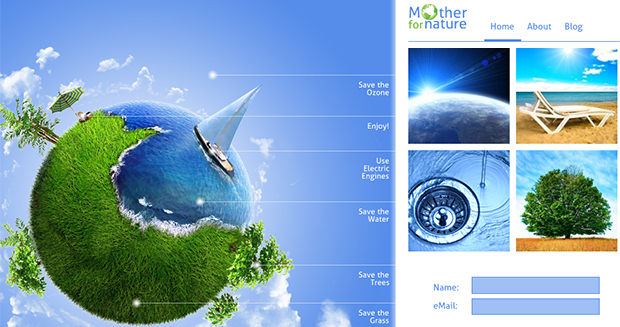 The environmental design has 3 different layout options that include specially designed social media icons for the theme. Images can be easily inserted into the main page and sub-pages while the theme is also responsive. 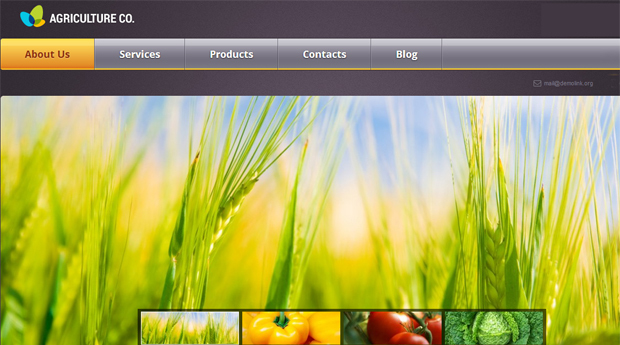 A clean look makes this a suitable choice for a personal or business agricultural website. An orange and gray design that is a great match for an agriculture or nature site. 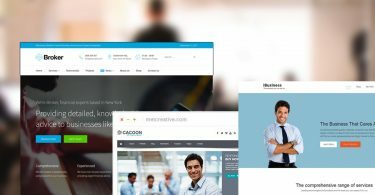 The theme comes with a very professional design that would be great for business use and the center image makes the whole theme very aesthetically pleasing. The theme also has a visually impressive menu. 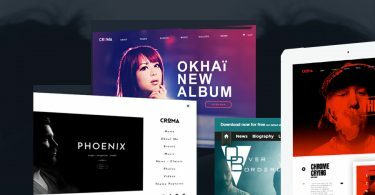 A theme that appears like portfolio layout but is great for displaying news, a blog or showcasing information about a business. 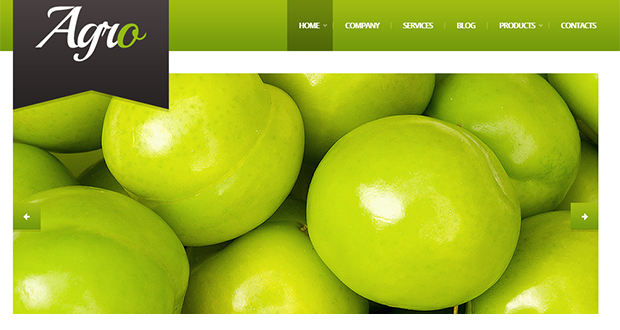 Its green color scheme and focus on images means that it is a good fit to be used for an agriculture site. The theme has 3 different skins, with 11 color schemes in each. Sleek and smooth, a flawless theme.